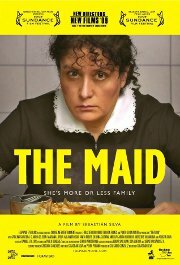 This multi-award-winning Chilean movie takes a look at the complex relationship that develops over time between a family and their long-term live-in maid. Although from her point of view she feels part of the family, from their point of view she is just the maid. Things get heated when the family try hiring extra help, which she perceives as a threat to her position. In Spanish with English subtitles. Good... no traces of the poison.